The service is also second to none. You will be treated like royalty from the moment you arrive by staff who encompass the famously warm and inviting Italian hospitality. When it comes to dining, you won’t need to go far for exceptional food. 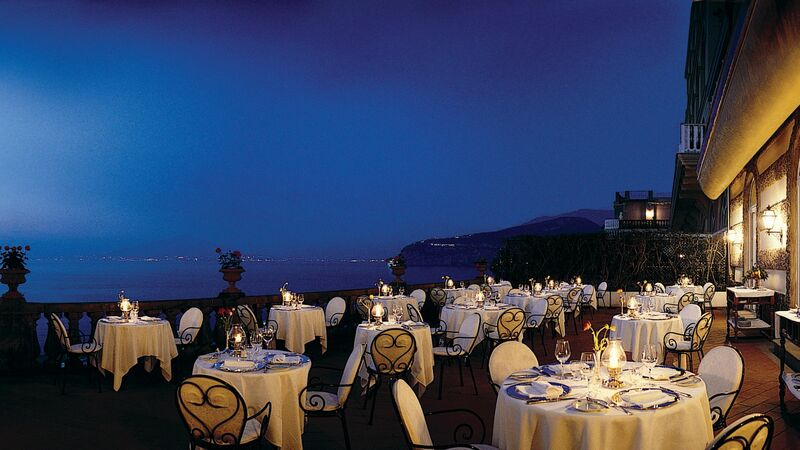 The Michelin-starred Terrazza Boquet is the hotel’s signature restaurant and offers food as spectacular as the views. Forget everything you think you know about exquisite Mediterranean flavours, because this Michelin starred eatery is about to trump them. With its delectable food, grand décor and romantic charm, it’s no surprise that people travel from afar to dine on the prized antique terrace looking out over the Gulf of Naples. The dress code is formal, shorts are not permitted. 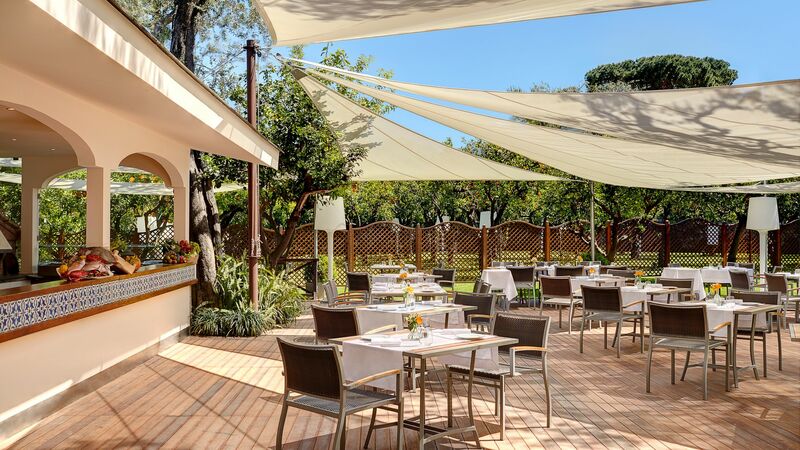 Expect hand crafted pizza, artisanal pasta and an abundance of traditional Italian flavours at this informal restaurant which can be found by the pool. 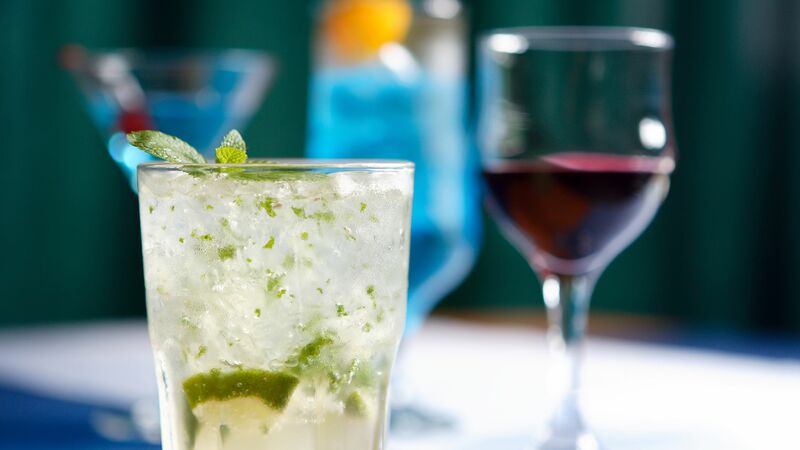 The perfect place to have a refreshing drink while listening to some pleasant live music. With its elegant arches, frescoed ceilings and silver service, if you want to start your day in style, this is the place to go. Offering a tantalising breakfast buffet by day and gourmet meals by night, you’ll never be disappointed by the food or the stunning views in this delectable dining room. With its gemstone blue waters, whirlpool hydromassager and palm-lined solarium, the hotel’s pool is an oasis of tranquility. Simply relax on the luxurious loungers with a parasol, and let the attendants look after your every need. The little ones are also catered for with a kids’ pool which can be found beside the playground. 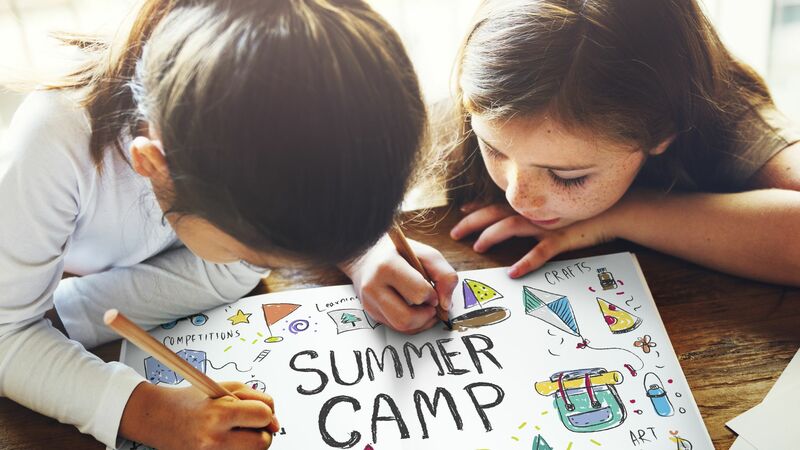 Kids can enjoy the playground, as well as the kids' pool. They can also use the five-a-side football pitch and basketball area. 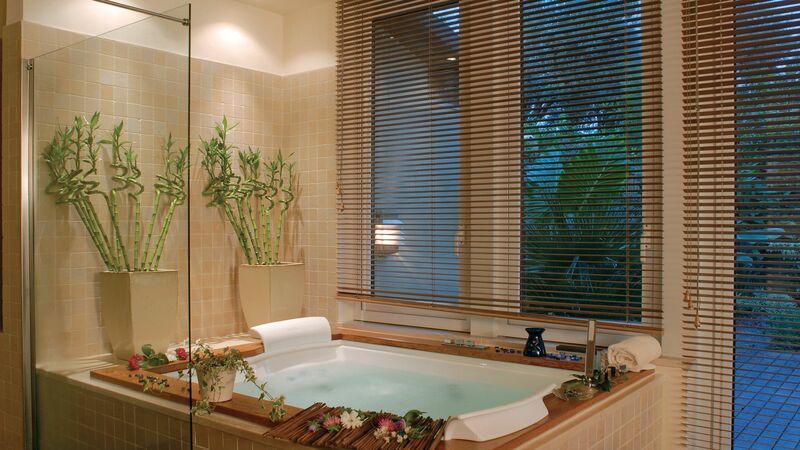 In need of some indulgence and TLC? Step into the hotel’s exclusive spa which is located in a 19th Century greenhouse in the lush gardens. This heavenly scented sanctuary offers an extensive array of treatments, many using local, natural products like citrus fruits and sparkling wine, that will pamper and preen you to your former self. If you’re in the mood to pump some iron, the gym is open all day, every day. Fitted with quality Technogym machinery and weights, you can get your endorphins fix anytime you like. If you’re feeling competitive during your stay, feel free to enjoy the onsite five-a-side football pitch and the basketball court. Sorrento is located along Italy’s spectacular Amalfi coastline, where you’ll find chic towns, historic architecture and beautiful surroundings. It’s famously where the crème de la crème of Italy like to holiday and it’s easy to see why. Pristine beaches, mountainous backdrops and colourful buildings built into the sides of the cliff greet you. If you want to explore the town, simply wander through its cobbled streets, stopping off in picturesque gardens and designer boutiques. Or hire a car and head into nearby Amalfi with its elegant bars and iconic architecture, or the spa town of Ischia where you can fully relax and unwind. 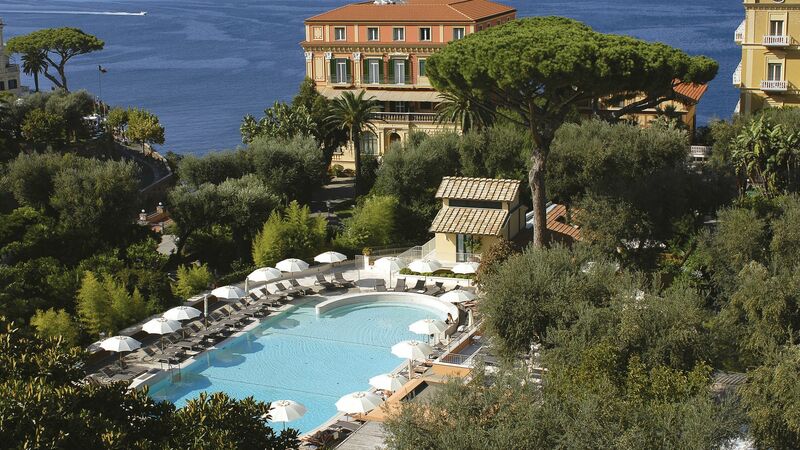 Grand Hotel Excelsior Vittoria is an hour and 30 minutes from Naples Airport. Garden View Rooms with Balcony are approximately 25-30m² and are furnished in a typical Sorrento style with expert attention to detail. They have fantastic views over the orange orchard that surrounds the hotel and facilities include air conditioning, satellite TV, minibar, hairdryer, safe, complimentary Wi-Fi, a bathtub, bathrobes and slippers. Superior Partial Sea View Rooms with Balcony are approximately 25-30m² and are furnished in a typical Sorrento style with expert attention to detail. They have partial views over the Bay of Naples and facilities include air conditioning, satellite TV, minibar, hairdryer, safe, complimentary Wi-Fi, a bathtub, bathrobes and slippers. Deluxe Sea View Rooms with Balcony are finely decorated in Vietri ceramic tiles and are approximately 32m². The private balcony offers a view over the Gulf of Naples. There is a seating area with sofa bed and the bathroom is furnished in marble. Junior Suites with Garden View are elaborately decorated and luxurious with a separate seating area or living room, marble bathroom and garden views from the balcony. Facilities include air conditioning, satellite TV, minibar, hairdryer, safe, complimentary Wi-Fi, a bathtub, bathrobes and slippers. Junior Suites with Partial Sea View are elaborately decorated and luxurious with a separate seating area or living room, marble bathroom and partial sea views from the balcony. Facilities include air conditioning, satellite TV, minibar, hairdryer, safe, complimentary Wi-Fi, a bathtub, bathrobes and slippers. Deluxe Junior Suites have a luxurious terrace area with views of the Gulf of Naples and measure 36-55m². Facilities include air conditioning, satellite TV, minibar, hairdryer, safe, complimentary Wi-Fi, a bathtub, bathrobes and slippers. Suites Superior Sea View are luxuriously decorated and have views from the balcony or terrace, a bedroom with a separate seating area and a large bathroom. Suites Deluxe are luxuriously decorated and have front sea views from the balcony or terrace, a bedroom with a separate seating area and a large bathroom. Facilities include air conditioning, satellite TV, minibar, hairdryer, safe, complimentary Wi-Fi, a bathtub, bathrobes and slippers. One of a Kind Suites with Sea View and Balcony are the ultimate in luxury and comfort as they are individually decorated and each has a history of their own. They enjoy sweeping sea views from their private terrace and each has a bedroom with a separate seating area and a large bathroom. Stay for 3 nights and pay for 2 for holidays between 01 - 30 April 2019 or 01 October - 27 December 2019. Stay for 7 nights and pay for 6 for holidays between 01 May - 30 September 2019. 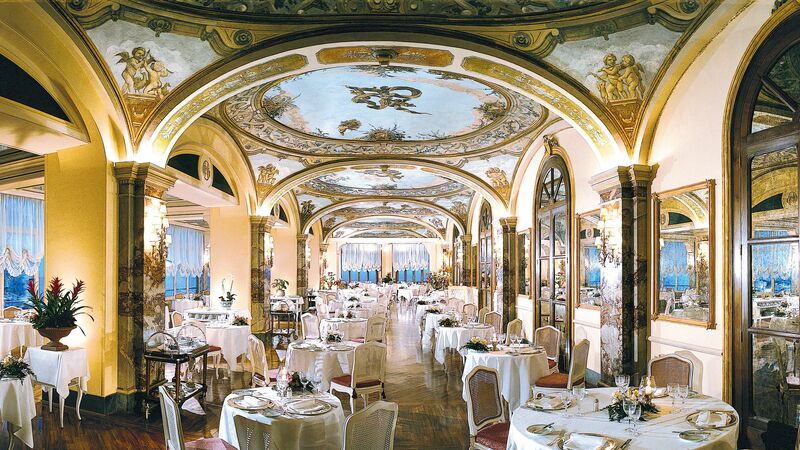 IT is always a pleasure for me to book clients to the Excelsior Vittoria, knowing they will be more then satisfied with the beautiful rooms, public spaces, the incomparable views, the staff the food and the service. My groups are treated with care by Maria Talamo and Sig Lubriano and Sig,Gargano. i highly recommend this beautiful hotel and the marvelous staff that makes ones stay there, memorable!